DAVID LE/Staff photo. 2/25/15. 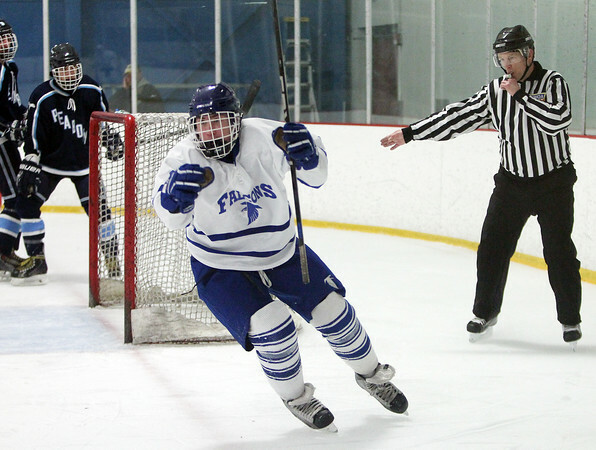 Danvers senior forward TJ Deinstadt (5) pumps his fists after scoring his second period goal as the referee signals a good goal.